In this week's City Weekly Restaurant Review column, I explore the marvelous French fare that Salt Lake City's The Paris Bistro & Zinc Bar has to offer. One of the things I didn't spend much time on is the restaurant's excellent wine list. There are wines for every budget available at The Paris, and the selection features many hidden or under-the-radar gems—for example, a bottle of Roger Sabon "Prestige" Chateauneuf-du-Pape 2006. Still, you might have a special bottle of wine that you've been wanting to drink and decide to BYOB. The Paris offers a customer-friendly policy of waiving the corkage fee on each bottle customers bring in with every bottle purchased from the restaurant. That's more than fair. Well, whether you're dining at The Paris, in Paris, at home or elsewhere, here are a few of my Paris-worthy French wines for the season. In France, ironically, wine drinkers (mostly) don't fuss too much over wine; they just enjoy them. These are those sorts of wines: no-nonsense, not-too-hard on the budget wines to enjoy without a lot of fanfare. On a warm summer evening, it's hard to beat a Rosé wine from Provence. One of my favorites comes from the district of Coteauxd'Aix, in the appellation of Provence: Commanderie de la Bargemone 2014 ($17). The Commanderie was founded by Templar knights in the 13th century and today is home to 160 acres of sustainably grown and managed vineyards. Don't let its White Zinfandel hue fool you; this is a bone-dry, crisp wine with classic Rosé flavors of red currant and strawberry. It's ideal for picnics or outdoor concerts. Another easy-to-drink and easy-to-find Rosé favorite of mine is E. Guigal Côtes du Rhône Rosé 2014 ($17). This is a 60/30/10 percent blend of Grenache, Cinsault and Syrah that is easy on the palate and the wallet. It's blended from cuvées of a number of top growers throughout the Rhône Valley, and shows hints of raspberry, strawberry and gooseberry, along with a strong mineral backbone. For a red wine that's light on the palate—even on a hot summer's day—I really like Chateau des Capitans Juliénas 2011 ($13.95), produced by the famous Beaujolais master, Georges Duboeuf. Made from 100 percent Gamay—the grape synonymous with Beaujolais—this Juliénas is light-bodied and elegant on the palate, with light-to-medium tannins. Flavors of strawberry and plum mingle with blueberry and blackcurrant, and the wine finishes with subtle spices. Juliénas would be a good match for foods from the grill. The French wines of Corbieres and Minervois, in the Languedoc wine region, tend to fly a little under-the-radar price-wise and in terms of press. That's fine with me, since it allows them to remain some of the best bargains from France. 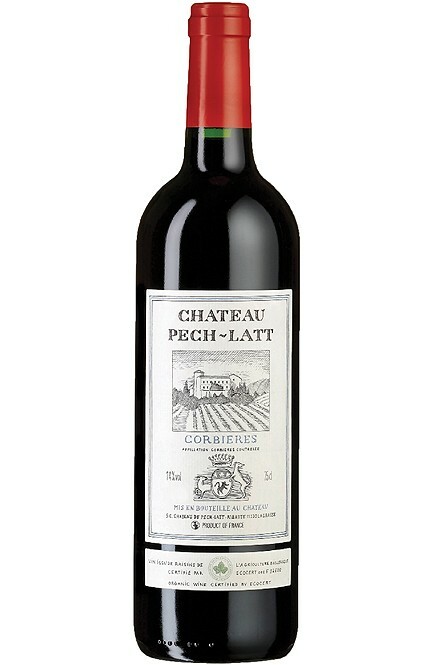 I particularly like Chateau Pech-Latt Corbieres 2013 ($15). It's an organically produced red wine made from 50 percent Carignan along with Syrah, Grenache and Mourvèdre. The wine pours deep, dark red, with red and black berries on the nose. The tannins are big and ripe, with well-balanced, concentrated fruit and spices on the tongue. You can drink this Corbieres now, but it will benefit for a few years of aging, as well. A few other terrific French wine values to track down—either at your wine store or in restaurants—include these recent favorites of mine: Domaine du Tariquet Côté ($15), a Chardonnay-Sauvignon Blanc blend; Guigal Côtes du Rhone Blanc 2013 ($17.75); Côté Mas Blanc Méditerranée 2014 ($13); and Languedoc's Arrogant Frog Sauvignon Blanc 2013 ($11).